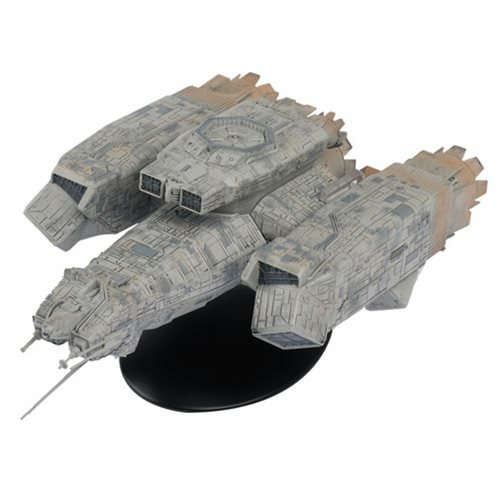 The first ship in the Alien and Predator Figurine Collection is the U.S.C.S.S. Nostromo from Alien. The Alien and Predator USCSS Nostromo Ship with Collector Magazine #1 is a whopping 8-inches long, and is produced in a combination of die-cast metal and high quality ABS plastic. This is a strictly limited edition of 3,000 pieces and comes with a certificate of authenticity. Ages 15 and up.